Perhaps you've been considering buying tickets to see classic-rockers KISS at the Spokane Arena, but you haven't pulled the trigger yet. If you waited to decide to go see Paul Stanley, Gene Simmons, Tommy Thayer (replacement Ace) and Eric Carr (replacement Peter), you were smart. The band is offering tickets today through July 5 for just $25 for their Freedom to Rock tour stopping in Spokane July 15. The deal is available now through 10 am on Tuesday, July 5, and you can buy up to eight tickets at the $25 price. Just go to the TicketsWest site for the show and enter "FOURTH" in the box for promotional codes. You can also just go to the Spokane Arena box office to get the deal. 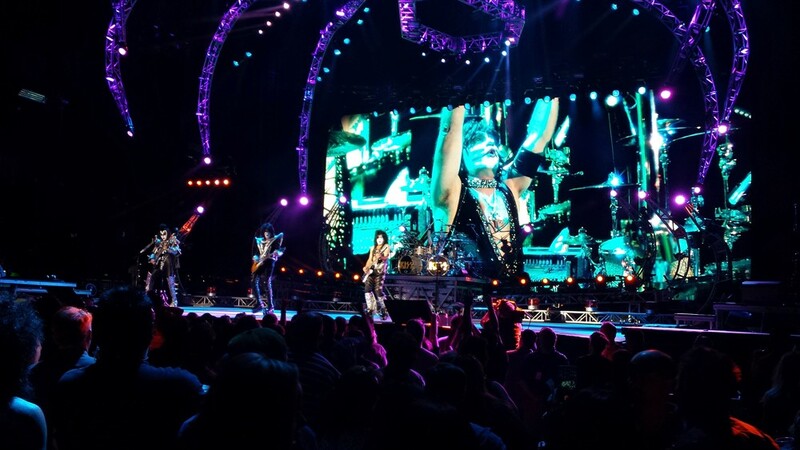 KISS is one of those bands you really should see at least once in your life. They are pioneers of theatrical rock shows, and the amount of pyro and special effects on stage is pretty impressive. Not to mention the slew of killer rock tunes you'll likely hear in any given set: "Strutter," "Deuce," "Detroit Rock City," "I Love It Loud" and the like. I've seen them a lot over the years — that photo is from a show two summers ago — and it's still a pretty good time, every time, for even a casual fan.